Nasser: A national hero or founder of a military state? "Gamal Abdel-Nasser taught us about belonging, and it is that sense of belonging that brought us back together again on 30 June ," says 60-year-old labor union member Mohamed Abdel-Razek as the anniversary of the late leader's death approaches. Nasser, who led the 23 July, 1952 revolution that toppled the British-backed monarchy in Egypt, passed away on 28 September, 1970. His funeral, which was attended by millions of mourners, is still considered one of the biggest funerals in history. "Many Egyptians and other Arabs mourn Nasser as a father figure, saying their dreams of building a just and progressive society died along with him," says author Margaret Litivin in her book Hamlet's Arab Journey: Shakespeare's Prince and Nasser's Ghost. Ruling Egypt from 1954 until his death in 1970, Nasser remains a symbol of dignity, pan-Arabism, and above all social justice for many. The late leader prioritised social justice and the redistribution of wealth. He implemented a vigorous social and economic plan targetted at fighting poverty, dubbed Arab Socialism, focused on land redistribution, nationalisation of large industries and introducing social benefits including free healthcare, education and profit-sharing for workers. For these reasons, Nasser lingers in the hearts of millions of Egyptians and Arabs who still dream of a more just society. "Love? I adore Nasser," says Abdel-Razek. "Nasser's time was a time of unity, compassion, satisfaction; a time when our differences didn't matter." By the time Abdel-Razek was 14, Egypt had suffered its notorious defeat in the Six Days War with Israel, which ended in the occupation of the Sinai Peninsula, East Jerusalem, the Gaza Strip, the West Bank and the Golan Heights. In response to the defeat, Nasser dramatically resigned in a televised speech. The speech was followed by mass protests against his resignation, demanding that Nasser continue to fight with the people. "Unfortunately he died before the 1973 war. That victory was entirely due to our loyalty to the nation, which Nasser taught us," added Abdel-Razek, referring to the subsequent battle to reclaim the Six Days War's losses. Anwar El-Sadat, who assumed the presidency after Nasser's death, has been accused of abandoning the political and economic principles of the Nasser era by embracing a liberal economic policy and by signing the 1979 peace treaty with Israel. Nevertheless, the memory of Nasser – argued by some to have been aggressively defamed under Sadat and his successor Hosni Mubarak – continues to inspire a new generation. "Nasser's picture was raised in Tahrir Square since the first day of the January 25 Revolution," says political science student Bassem El-Bendary. "It's only normal, as he was the only one who managed to create a complete national project for the country. It is a fact that any remaining industry in Egypt, despite of all the neoliberal policies and privatisations, was created or flourished under Nasser." El-Bendary adds that for Egyptians, Nasser also represents something that the January 25 Revolution failed to offer: a leader. Chants celebrating Nasser intensified under the rule of his era's foes, the Muslim Brotherhood. "Abdel-Nasser has said it before, the Brotherhood is not to be trusted" was a popular chant that echoed in protests and marches leading to the popularly-backed military ouster of Islamist president Mohamed Morsi on 3 July. "It was refreshing to find [Nasser] on the streets again, especially after the attacks on him following the Muslim Brotherhood's rise," Lana El-Sennawy, a Nasserist columnist and blogger, told Ahram Online. El-Sennawy was not pleased to find, however, that the nationalist president was being compared to Egypt's army chief General Abdel-Fatah El-Sisi. El-Sisi's popularity soared after he appeared on national television and announced Morsi's removal followings days of protests against the elected president's rule. In a political context lacking in charismatic leaders, El-Sisi won the hearts of those who perceived him as a decisive leader imposing the people's will. Morsi's ouster has led many to compare El-Sisi – put into office by Morsi himself in 2012 – to Nasser, who also launched a security crackdown against the Muslim Brotherhood. Both men had notoriously tense relations with the long-banned Islamist group. During the Nasser years, thousands of Muslim Brotherhood members were arrested and in 1966, the group's influential leader Sayid Qutb was executed by the regime. Like Nasser, El-Sisi is also accused by Muslim Brotherhood members and supporters of being a "putschist." Morsi supporters continue to condemn 3 July as a 'coup d'état' and refuse to acknowledge the post-Morsi interim government. Posters of El-Sisi, which showered Egypt's streets during the final days of Morsi's rule, were usually juxtaposed against those of Nasser. "Egyptians have linked El-Sisi to Nasser because they feel he is fighting for the same cause, and that is national independence. This was assured to them after the West backed the Muslim Brotherhood in Egypt and Syria," says El-Sennawy, while also stressing that the time of "one-man leadership" has passed. Their stance has directly contributed to the rising popularity El-Sisi, who has been credited for "standing up to the West and protecting the people's will." "In the Egyptian consciousness, the proud image of Nasser is associated with Egypt's dignity," said El-Bendary. The late leader was only 38 when he nationalised the Suez Canal in 1956, initiating a quest for self-determination and political liberation after decades of colonial rule in the region. El-Sisi's popularity, according to El-Bendary, is based on a "false claim" that the fifty-eight-year-old general is also standing up to the US and giving Egypt an independent voice in the face of imperialism. "I'm convinced that this comparison won't last long, because the military's policies of increasing societal inequality will most likely bring it to a crashing halt." Nasser is responsible to a large extent for the political, economic and cultural backwardness facing Egypt. Why is it that India, South Korea, Mlysia and other countries, which were at the same socioeconomic level of Egypt, are now economic tigers and stable democracies whiles Egypt is still going backward, even unable to feed its own people. Nasser built a country and a culture based on lies and empty rhetoric. Needless to say, a country based on lies will not advance. 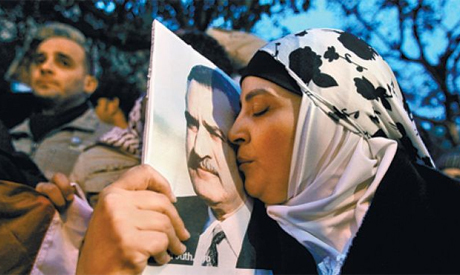 Nasser's legacy should be recognized by more than words. Today should be declared a national holiday. This is the minimum that the country can do to recognize the mark he left on the country, the Arab World and I would say the entire developing world!